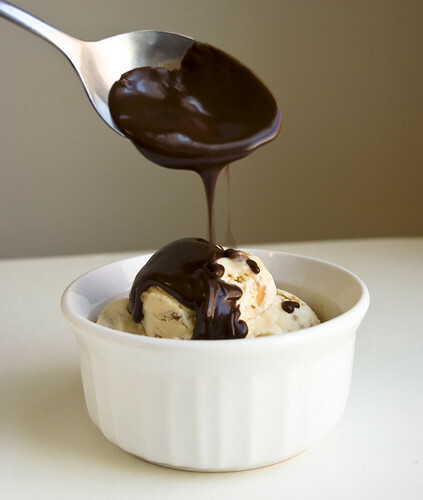 Like any smart chocoholic, I tend to order hot fudge on my ice cream sundaes for maximum chocolatization. Unfortunately it seems that most ice cream places make a sub-par fudge. It’s either too sweet, made with low-quality chocolate or has grainy sugar crystals. Bleh. So I decided to whip up a big batch of the stuff myself to keep at home. And I found the perfect ice cream to go with it: Ben & Jerry’s Clusterfluff. It’s got all of my favorite things! 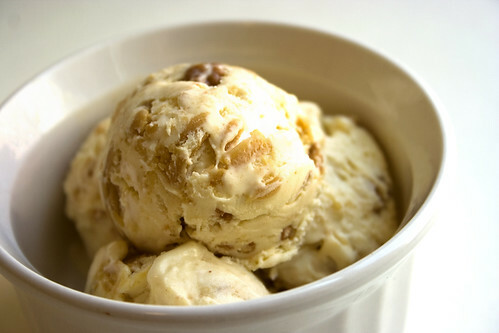 Peanut butter ice cream, caramel clusters, marshmallow swirls and peanut butter swirls. It’s like a crunchy fluffernutter sandwich in ice cream form. My usual Ben & Jerry’s pick is Chubby Hubby which is a saltier peanut butter flavor, but if sweet is more your thing, this one is your jam. 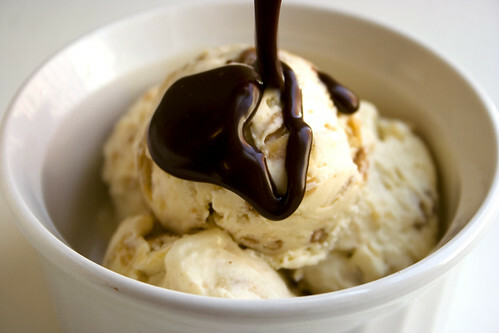 In general, I prefer a dark bittersweet fudge, but I think lighter chocolates (semi or milk) would pair nicely with this ice cream as well. Get the recipe here. And get to your local grocery store and pick up a pint of Ben & Jerry’s Clusterfluff. Because not having ice cream on-hand in the midst of a vicious hunger pang would be a cluster… *ahem*… [rhymes with puck]. Clusterfluff sounds like the best Ben & Jerry’s flavor ever. I’ll have to recreate it w/ an ice cream maker this Summer.